Samsung has started rolling out the latest firmware, September Security Patch for Samsung GALAXY S8+ SM-G955F running on Android 8.0.0 in Phase wise manner. At the time of writing this article, the update has already been started pushing out in the form of OTA (Over the air) to all of the Samsung GALAXY S8+ SM-G955F devices in Australia. The OTA update bearing build number G955FXXU4CRI5 is based on Android 8.0.0. The G955FXXU4CRI5 for Samsung GALAXY S8+ SM-G955F is released with September Security Patch and contains several bug fixes, improve the overall stability and enhance the performance of the device. If your device is running on Stock Android 8.0.0, then you may soon receive the OTA Update notification on your device. You might be already aware of the fact that Android Team fixes the vulnerabilities found in the operating system time to time, and releases the updates on timely manner. The OEMs, then push the Security Updates with patched/ fixed Android vulnerabilities in the form of OTA and Stock ROM updates. In the below guide, we will be guiding you step by step process to flash/ install latest September Security Patch G955FXXU4CRI5 on Samsung GALAXY S8+ SM-G955F. The download link for this Stock ROM has been added to the pre-requisite section. You can either flash it via Samsung Odin tool or Samsung Kies, if you have not received it through the OTA update. Updating or flashing the Stock ROM firmware updates certainly without any doubt comes with risk to brick device. If you brick the device, while upgrading the firmware of your smartphone, then kindly be in touch with the Official Service center of Samsung near your location. AndroidWeblog.com in no way will be held responsible for warranty void or your bricked device. Download G955FXXU4CRI5 update for Samsung GALAXY S8+ SM-G955F based on Android 8.0.0 from here. When a new software update is available for your device, the notifications panel will display the software update message. 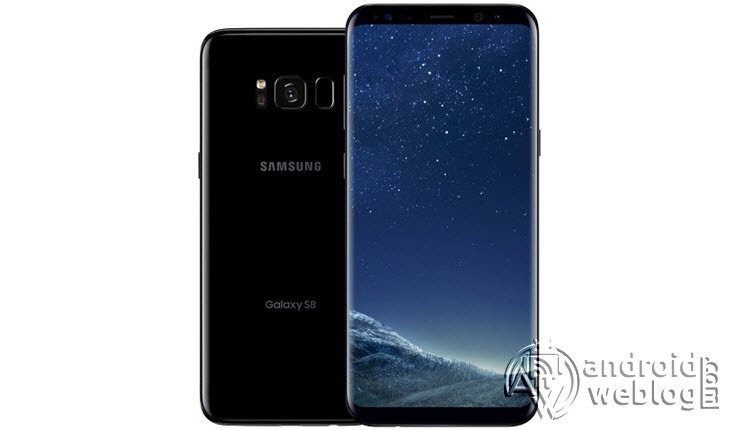 Just you need to pull down the notification bar, and then press ‘Software Update’, and this will begin the upgrade process of device Samsung GALAXY S8+ SM-G955F to latest G955FXXU4CRI5, based on Android 8.0.0. If in-case you have not received the software update, then just follow the below guides, to flash firmware manually through either Odin, or Kies. No matter which method you prefer, however, Samsung Kies is official software, where the Odin is leaked/ 3rd party software which installs a new firmware, rather than updating the existing one. You can read our guides carefully to successfully upgrade your Samsung GALAXY S8+ SM-G955F manually to G955FXXU4CRI5 Android 8.0.0. I assume that you have successfully upgraded your Samsung GALAXY S8+ SM-G955F to G955FXXU4CRI5 Android 8.0.0. Whether you have faced any issue, or you have any doubt, please write us in comments section below.